Hopefully everyone got some laughs this April Fool’s! It’s always good to poke fun at yourself once in a while to stay grounded. Yes, Twitter is indeed like high school where there are gang ups, non-stop gossiping, and outbursts of hormonal rage. One of the main reasons why Disney decided to back out from their purchase of Twitter was due to the fear that all the hate would spill over and tarnish its reputation. Anyway, I stand by my belief that if you are a happy person with a healthy dose of self-esteem, it’s hard to tell others to f off once you have f you money. Money simply magnifies who you already are. Let’s show empathy to the ones who dislike us the most. For 2018 and beyond, I’ve decided to do things a little differently by taking away the absolute dollar amounts I invest. Given that there’s been so much rage against the middle class in expensive coastal cities, I don’t want the numbers to be a distraction. Only my family cares about how much we invest anyway. After rising as much as 7.22% in January, the Dow and S&P 500 closed down ~4% for after April 2. The initial ascent was unsustainable since such continued performance would lead to an annualized gain of over 100% for the year after a strong 20% in 2017. Unfortunately, the government is no longer a tailwind, but a headwind with the start of trade wars with China and other countries. It’s now all about protecting special interest groups and asserting one’s dominance over others. It will be interesting to see if Trump can survive full-term if the stock market continues to falter. Tech is out of favor at the moment after a huge data breach at Facebook, Uber’s self-driving car killing a woman in Arizona, another Tesla crash on autopilot with negative talks about Model 3 production, and Trump going after Amazon for not paying enough taxes (Financial Samurai pays more corporate income tax than Amazon). With the S&P 500 down about 11% from its peak and having tested its bottom again in March, the market is trading at about ~16.8X 12-month forward estimated earnings. Prior to the selloff, the S&P 500 was trading at 18.2 times expected earnings, pricey compared to its 10-year average of 14.5. 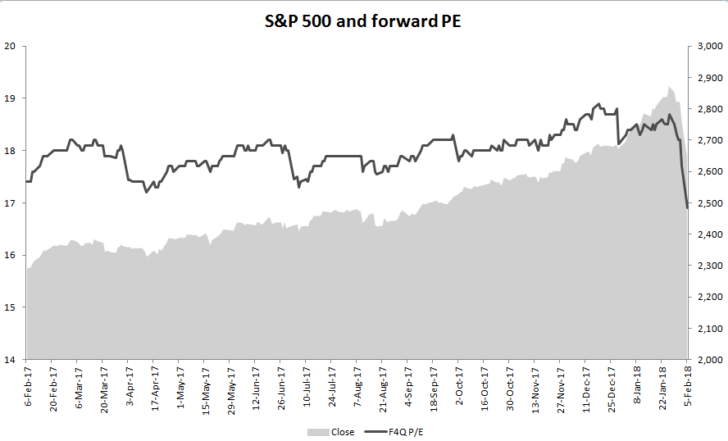 In December, the S&P 500’s forward PE reached as high as 18.9 before analysts began to increase their estimates for companies reporting their fourth-quarter results. Therefore, even at ~16.8X forward P/E, the S&P 500 is not cheap compared to historical averages. However, if earnings grow by an estimated 18.4% over the next four quarters, you’ve got a P/E to Growth (PEG) ratio of less than 1X, which seems reasonable if the world can get along. The best way I see the stock market regaining its footing is by companies reporting solid 1Q2018 results in 2Q. We’ve been whiplashed around by news and government rhetoric. 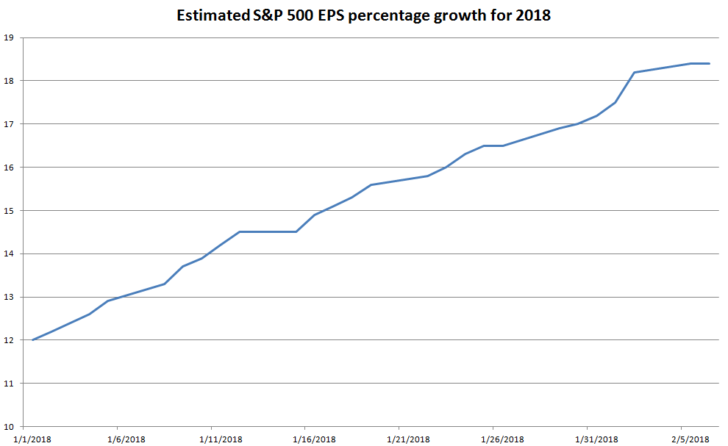 If the majority of companies in the S&P 500 can meet or beat earnings expectations, then the expectations for an 18.4% S&P 500 earnings growth estimate will become stronger. If this happens, confidence will return to the stock market since stocks trade on earnings fundamentals at the end of the day. I deployed a fourth of my remaining house sale proceeds at the beginning of the year, another fourth in February after the meltdown, and another fourth at the end of March when we hit a “double bottom.” I invested the rest of my house proceeds + cash flow into the bond market, which we’ll talk about next. Stock Market Outlook At Current Levels: 7/10. I estimate 10% further downside at most and 15% upside if everything falls into place. I always look at investments with a risk / reward ratio. With fiscal stimulus and tax cuts, the market decided that such moves would be highly inflationary. Bonds sold off as a result, causing bond yields to rise and stocks to fall. My line in the sand for the 10-year bond yield is 3% for 2018. It came close to breaching 3% when we got up to 2.94% on February 21. But yields have since come back down to around 2.73% with all the turmoil going on in the stock market. Although the Aggregate Bond Market Index is down about 1.2% for the year, that’s better than being down 4% in the S&P 500. We might be in a situation this year of what asset classes loses us the least. But it’s too early to tell. Even if bonds end up down 2% for the year, you’re still up 0.75% if the yield is 2.75%. I’m sticking with my belief that the 10-year bond yield does not breach 3% for 2018. Even if we do, it won’t be for very long (less than a couple weeks). 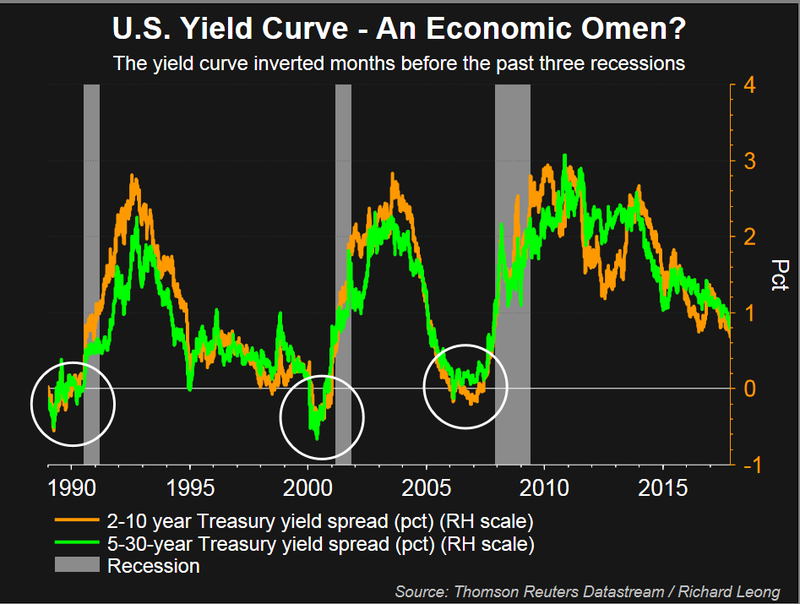 In other words, the yield curve will continue to flatten if the Fed does not slow down its rate hikes, providing an ominous sign that a recession is coming. Given the Fed isn’t stupid, I’m confident they will adjust their rate hike count and amount if the labor market weakens, inflation comes under expectations, and the stock market continues to correct. I bought California muni bonds and some longer term treasury ETFs at the end of February after the 10-year yield broke 2.9%. A 3% muni bond yield is equivalent to a 4.3% gross yield if you have a 30% effective tax rate. A 4% gross yield has always been my post-work retirement target return. Bond Market Outlook At Current Levels: 6/10. 1-2% downside, 3%-4% upside. When the 10-year yield was at 2.94%, I would give the bond market outlook a 8.5/10, but the yield has since come down. One of the good things about global uncertainty is that investors seek the security of bonds, thereby lowering bond yields. With the 10-year bond yield coming off its highs, the real estate market may not get squeezed as hard as it could. That said, we are still ~45 basis points higher than we were in December 2017, so debt servicing is more expensive. I continue to be very cautious about expensive coastal city real estate. 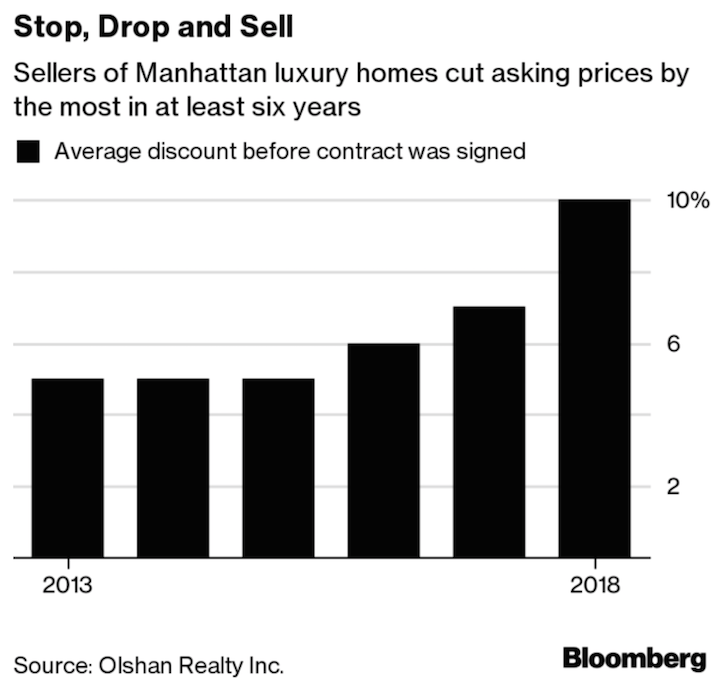 Unless you are super bullish about your career prospects, have a massive liquidity event, have at least 30% of the value of the house you want to buy in cash (20% down, 10%+ cash buffer), or are starting a family plus at least one of the things I just mentioned, I would not be buying coastal city real estate, especially if you don’t plan to own the property for 10+ years. Pricing pressure generally starts at the top and works its way down. Beware. The risk reward for leveraging up at current valuations is unwise for the average person. Rents are falling in places like New York City, San Francisco, Chicago and Honolulu. With more supply in Seattle coming online than any other time in the past, Seattle rents are also starting to soften. Please read BURL: The Real Estate Investing Rule To Follow, if you haven’t done so already. If earnings fundamentals are important to you, as they should be, the price you decide to pay for your property should be equivalent to the price from the record month MINUS the rental price change since that record time period. In other words, if you are planning to buy a 2-bedroom apartment in Honolulu this year, look up what the price of a comparable apartment was in January 2015 and subtract 25%. That price will give you a rough idea of where you should offer or counter offer. Now is the time to be picky and negotiate, not be the foolish winner of a manic bidding war. As for non-coastal city markets, they’ve got further room to run due to lower valuations and stronger demographic trends. That said, each market is different, and eventually, their waves will also crest. Focus on demographics because some places like Denver and Dallas have gone bonkers. The stock market should give real estate investors some insight into the future. Look at sectors that are heavy in the city and state you want to buy and see how they are doing. Stocks reflect future earnings, and if earnings are at risk, so is job growth, wages, and housing demand. Geo-arbitrage within the United States is going to be a multi-decade trend, which is why I’m investing in the heartland of America. Even though many investments are struggling in 2018 so far, there’s one investment that has struggled the most: cryptocurrencies! It was absolute carnage in the space. Names like Bitcoin, Ethereum, and Ripple are all down 50%+ for the quarter, so don’t feel bad if you’re down single digits in the stock market. 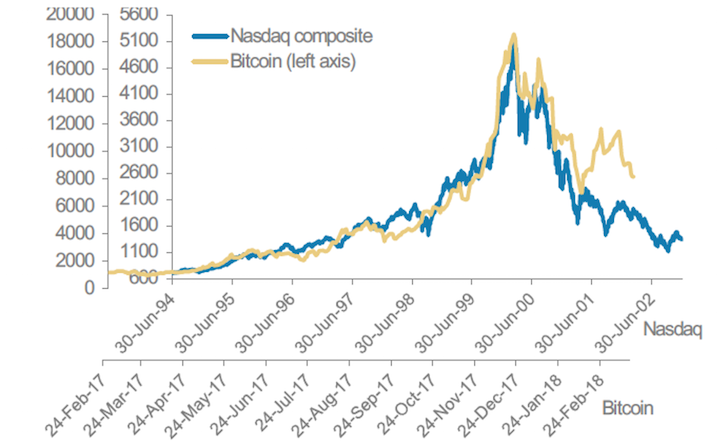 The collapse of cryptos is a great reminder to keep your alternative investment exposure limited to what you can afford to lose. For me, I keep all alternative exposure to no more than 10% of net worth. One interesting note, I did have a long conversation about cryptos with a multi-billionaire a couple weeks ago who believes the crypto space will be completed diluted with an endless supply of new cryptos, partially because his company will easily enable all his customers to create their own. Elsewhere, I was surprised to get a $2,623 payout from real estate crowdfunding in February, since I’ve been modeling only ~$9,600 for the entire year in my 2018-2019 passive income estimates. I haven’t received any notification yet for March as it usually takes a couple weeks after month end to update, but I’ll update the chart once the numbers come out. 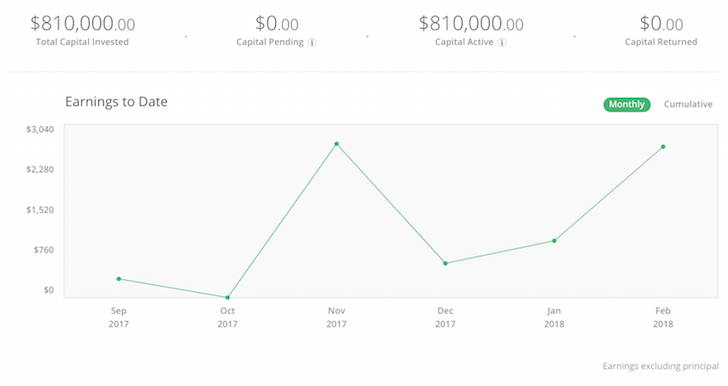 At the moment, investing $300,000 in real estate crowdfunding in December 2017 looks like the right choice. I’ve got a total of 17 different investments, the large majority of which I like. But it will take years to find out how well they do given all my investments are equity deals. With the sale of my SF rental house and the sale of my private gin investment to Campari in 2017, I tried to keep my income as low as possible since the sales shoved me into a higher marginal tax rate before expenses. For 2018, I don’t expect to see another large windfall, hence I’m more open to earning more this year, especially since taxes have declined. You must go through your net worth asset allocation and do an honest assessment of your risk exposure. Do not be caught with your pants down at a highway rest stop. Predators come out. So long as you know how your money is being allocated and have a plan for what to do in different scenarios, you will go through life with much less financial stress. As for me, I still feel good reducing ~$815,000 (mortgage) worth of risk exposure in 2017 and diversifying the house proceeds into various other investments. I’m actually considering selling my remaining SF rental given the last piece of avoidable stress in my life is dealing with a power-tripping HOA that has hired a terrible property manager as its minion. They hate landlords. After verifying with my Personal Capital dashboard, I’ve got about $295,717 in cash left. It’s a little deceiving because $185,000 of the balance is from a CD which is coming due this summerl. The CD was paying 3%, and I’m sad to see it go. At the same time, given asset prices are finally pulling back and interest rates have also moved up, the timing for reinvesting the proceeds is better. Further, I’ve got to pay tens of thousands of dollars in extra taxes to support this great country of ours! Once I pay my tax bill I’m going to come up with a cash accumulation + investment game plan once again. This year is too tricky not to be on point. Hi, As for investing in stocks, my personal approach is to take the guesswork out of my investing decisions. My investments are mostly in stocks but I keep ample cash for both rainy-day needs and as dry powder. 1Q 2018 was my first such opportunity (after a long while) to deploy some dry powder into stocks. Stocks went down by 10% so I invested 10% of my dry powder in it. I try not to worry where the market might go next. If it drops by another 10%, I will have more cash to deploy. If it recovers, fine. I will be able to replenish my dry powder then. This strategy does not work for everybody, I realize. I tend to be more risk tolerant than others. And I also have weathered multiple bear markets and as a result I am perhaps more sanguine than others. It had worked out well for me over the years. By the way, you mentioned Dallas as one of those middle markets that has gone bonkers! North Dallas suburbs (where I live) have appreciated in last few years but nowhere close to sellers market yet. In fact, Zillow rates Plano and Frisco suburban cities as “cold” and “cool” today. Thanks for this… it’s great. I am less financially technical than you…can you help? I live in San Francisco…sold my house last year and been renting since. I hated the home repairs/upkeep, property taxes, the high mortgage payment and the small space of my last house (2.05M and I had put 20% down so mortgage was 1.6M). Now I have been renting for a year and hate my place even more… because I was stingy on budget (in a California kinda way) … what I am getting for $4680 a month is not acceptable. I really need to like where I live, i.e. be comfortable in my space, for any price point in San Francisco. Rental on a place I like would be $5500-$6000 a month, which seems like such a waste, so…. I’m thinking about buying again… in an “emerging area” on the south side of the city, so I can get a house I am comfortable in and excited about ….and not pay at/above $2M. I found a 1.5M gem (which is the upper end price wise for this area but less than the new SF home price median of 1.6M). I have 2.7M net worth right now (and spend 150K annually so I am OK) and am not worried about job security as the job market in bio is very healthy. I would put down 750K, so 50%, as that would allow me to get my mortgage down low to less than 4K/month which I can stomach. Caveats are I plan to leave San Francisco sometime between 3-7 years from now…. so I’d sell my house at that time. So thinking about all of the guidance you provided about only buying if you are bullish on your career, have a massive liquidity event (what does his mean? ), will put down >30%… and something about the rental market that I didn’t understand…. what is your advise on me jumping back into the market and purchasing this home where the area is a little bit questionable … but I love the house and am excited I could finally get comfortable in it? Thank you Sam et al! Sam thanks for insights. What are your thoughts about shorting Real Estate? Sorry, I misunderstood. I am short. Sam, thanks for the insights. But I am not sure your real estate logic is bulletproof. Everything you are saying about the SF Bay Area market was just as true a year ago. Yet home prices in Silicon Valley rose a whopping 22% over the last year! So, at the very least, buying a year ago would have been a terrific investment, wouldn’t it? At the same time, with the resurgence of tech IPOs this year and next, and the growing pervasiveness of tech in all industries, there is every reason to believe the Tech jobs – and therefore home values – will be just fine in the Bay Area for years to come. It’s much more helpful to look forward. Big area is strong, but there are clear signs if you look at rent prices. The price appreciation is unsustainable. And I saw the latest first quarter numbers for the median home price. It might be due to mix, or one last hurrah. Those sales are mainly reflections before the stock market correction as it takes 45-60 days on average to close. But no doubt there is still a lot of demand and prices are strong. Are you long? I’d happily take a $700K appreciation in equity + any appreciation in Lake Tahoe prices if the 22% is true! I don’t know if I am “long” enough from a pure investment standpoint, but figuring out if I’m long enough to become a first-time homeowner (albeit maybe a short term-oriented one). Don’t get it. Are you currently renting your place in the Bay Area or did you buy? If you bought, you’re long! If you rent, you’re short. Per Zillow, e.g., in Mountain View the yearly appreciation was 26.3%! But I am not sure your real estate logic is bulletproof. Everything you are saying about the SF Bay Area market was just as true a year ago. Yet home prices in Silicon Valley rose a whopping 22% over the last year! So, at the very least, buying a year ago would have been a terrific investment, wouldn’t it? At the same time, with the resurgence of tech IPOs this year and next, and the growing pervasiveness of tech in all industries, there is every reason to believe the Tech jobs – and therefore home valuesbe- will be just fine in the Bay Area for years to come. Great analysis, Sam. I will be rereading several times and trying to assess the impact on markets, interest rates, and my investments. I don’t jump in and out of the market. Doesn’t matter when you buy stocks as long as you ride a stock up (and sell if it goes down, i.e. stop loss). You don’t need to buy at the bottom or sell at the top to make a very good return. You can do this stock by stock or sector by sector. But not if the entire market goes down. Then you hold on and ride it back up. We are in a (slow) rising rate environment, so I would not be investing in bonds or equivalents. The time to buy bonds is in a declining rate environment. Unless you plan to hold to maturity. My preference would be dividend stocks with growth that would at least have capital gain plus dividends. Okay to hold cash because it does not go up and down with interest rates and it can soften the effect of a correction. Bonds don’t always do that. In fact, they never have for me. I gave up on a balanced portfolio and asset allocation decades ago. Not very sophisticated, but that’s what I do. I think you’ll be surprised with the bond market. Rates have been on a downtrend for 30+ years. Perhaps now they will finally go up a lot, but I doubt it. Right now, your dividend stocks have negative appreciate + dividends. It’s a trick market right now. Hang tight! Back when interest rates were normally over 10%, my rule of thumb was go 5 year term mortgage renewals if the rate was under 10% and 5 year with CDs if the rate was above 10%. Will watch bond rates with interest. Right now, my stock portfolio is up 5.55% (as of yesterday). My stocks pay small dividends and have growth so I am good there. I have FX working for me too (CAD keeps sinking and I have more than 50% in USD). I am hoping interest rates stay low because I have a lot of mortgage debt, and with rates low, it boosts the stockstoo. Right now, everything is working for me — low interest rates, low CAD. The low CAD is a killer on travel though. If I had your NW and earning capacity, I would be doing the same — big bond portfolio. Based on valuation of my pensions, I sort have the equivalent of that (according to your valuation method). Keep writing, you are the best on the net. Very good update! Now I’m just training my brain to see opposite colors (e.g., red in the market means green in the long-term AKA buying opportunity). I’m not saying timing the market, but I believe we will have ups and downs this year and whenever there are downs are good times for investors to pour money in. For me, it will be into solid ETFs or index funds. And I’d be ok with 3-4%. I think the stock market was due for a correction, but in my opinion, after the market had gone up 12 months partly as a result of the Trump effect, tax-reform, market-friendly policy decisions, etc, we have hit the second Trump effect. This trade rhetoric has caused the market to tumble more than it should have wiping out the first Trump effect, and if this continues especially in China targets Trump states like she said, that would not bode well for Trump’s re-election. I was planning to de-risk some of my portfolio but now I just might ride it out. Hopefully some confidence will come back into the market come earnings season – if Trump can just go on vacation without his cell phone. I am not so focused on the annual return of this year or the next or the next. I prefer to focus on the overall return against the benchmark I have. I cannot control what the economy will do, all I can do is pick solid investments. I get paid to wait with dividend income and I get at least 2.5% from my portfolio regardless of what the market does. About the markets, I prefer not to predict. I have an algorithm that calculates the ideal portfolio allocation mainly based on risk, returns, and correlations. But nothing crazy, the changes are gradual… a very long-term approach. Here is my performance in various sectors. My #1 looser was Bitcoin. I invested $200 and it is now worth $100. I used Coinbase. It took me a while to figure out how to set it up and it also got me a good idea of how friendly it is to use. It’s not easy to use and the lag for clearing transactions is crazy. My opinion is now that I blew $200 on Bitcoin I am convinced it has no future. On the real estate front, I converted my 2nd home that I was using less and less in a rental. I am did that because of the Trump tax changes and the 20% pass thru. I am betting that it will work better than making a sale and redeploying the cash equity. I basically did. The opposite of what you did with your SF home rental. The similar point is that is is invested in MN which is the heartland and fits your new strategy. I sold all my growth stocks: BABA that I owned since the IPO for example has been sold with a double. AMZN and the other tech names I had for about 15 months (except for AAPL) have been sold too. All that has been converted to Dividend stocks with a focus on Energy companies, Telecom Utilities and YieldCos. Lost 10% on the SPY from its high for the quarter. I use SPY and not the vanguard or other S&P ETF because SPY is safer even though it is 5 bps higher in fees. I think it’s worth it considering it is more liquid too. Finally I like it best because I can sell 2 standard deviation weekly call for a few Pennies a week and that adds about 2% of financially engineered dividend on top the regular 1.8% yield. Can’t do that with the less liquid ETF. My largest position for the past 10 years remains AAPL. I sleep at night best knowing that there is $300B in cash and this feeling is reinforced by the new tax repatriation which only fuels more cash. I see AAPL going to $200 this year. Next month the yield should get closer to 2% too on earning release. I also like the low P/E relative to the FAANG considering the recurring revenue growth. I have about 5% in cash that will need to be redeployed. I am thinking that I will wait for one more down day and will load up on more SPY. Net worth is flat for the quarter even though I was down about 5% at the lowest part of the quarter. My goal is to beat the market. It is a little arrogant to think that way considering most money managers don’t beat their index but so far so good. This year I also switched from the 401k to the Roth 401k contribution because of Trump taxes. I’m super with you about dissolving some RE liabilities. Not that I’m not long term bullish on housing for tech driven cities but there’s going to be some pain coming in at the rate it is going and unless you are holding 10+ years to ride out (which we’re personally not) it might be better to cut loose. My city hates landlords too! Thanks for sharing your outlook. These quarterly updates are very useful. I think you’re spot on with real estate. Rent in Portland is starting to flatten out now. Investors are still bullish because they are still buying and renovating old apartments. I doubt this will continue, though. The economy here isn’t good enough to support these high prices. I’m still somewhat bullish about the stock market this year. 5-8% would be great, but I would take 3% without complaining. Still enjoying these! I don’t think it matters if you put actual numbers or not. For those that get offended by how much you are investing each month I think it is easy to judge someone after years of hard work, sacrifice, and consistent investing. As far as outlook for the year I can see your point for each asset class. In reality I think no one knows and you just have to make sure that personally you are positioned well. For my position as a data point for readers, as I know I love them, I am building post tax advantaged accounts cash. Nothing has changed for tax advantaged still 100% equity and investing each pay period at 28 years old. However, I think timing for me personally along with the investing cycle might line up to purchase our second property. We worked hard to get this property in a good position to rent out when we are ready and most likely will transition into a new home in the next 1-3 years. Grateful to be in a position where I am comfortable with how I am positioned but excited to buy the next one when the opportunity presents itself. As someone who just bought a home in Los Angeles for some pretty serious money, I actually wouldn’t mind if prices dropped and things normalized for a change. We are having a baby and have enough saved that a drop or short term unemployment doesn’t really scare us. Really enjoy these updates and your outlook on things. I think cryptocurrency is definitely done to death with everyone launching a new ICO each week. Blockchain though, is a very powerful concept that could have legs and is worth researching. Very thorough and insightful outlook! I can tell this post took a lot of time and thought to put together. Not many people can write about the things you do! I’m curious to see how the Fed acts in the next few quarters. Q1 was so volatile. Good analysis across the board. Especially the risk control. The equity markets are at a technical crossroads here. 200 day moving average for the S&P looks pretty critical to hold and build off of. If not then I think a lot of the trend following and momentum trades will liquidate longs and flip short. Both the weekly and monthly charts still remain stretched from their moving averages. Like you pointed out, valuations are still certainly not historically cheap either and have more room to contract, even if earnings are strong. It could go either way from here. The short squeeze attempts do not seem to have the same oomph since January though. I think tech needs to reemerge as the leader again for the bull case and corporate buybacks can’t step up soon enough. If the 200 day fails then the 2200 level looks like a magnet to me with low volume profile, 50 day on monthly, and 200 day on weekly all right around there. I’m actually leaning a little more than 50% chance of the bear case short term, but a strong week or two could change that. My 3% 10 year in 1H2018 guess came within a few basis points of hitting so far. We’re only seeing a modest jump in inflation though, so I think the possibility of a 4-4.5% ten year rate shock on this Fed hiking path is still pretty low. With the spending bill and tax cuts the treasury auction supply has jumped a bunch though, which will continue to be a headwind for the bull case. Despite the 10+% drop in Equities since February you have a 10 year at the same levels. The wild card is still a jump in inflation (possibly on a dollar plunge), or a trade war escalation causing China to dump treasuries. With what you can earn on cash and shorter duration, and the risk/reward at these levels I think you are giving up very little waiting for a better opportunity or a shift in the Fed path. Your large property sale seems very timely and at a great multiple. Not only are rents saggy across the country, but the price/rent ratio remains unsustainable in coastal and most high-priced cities. If you can find something similar for your other property than why not reduce the headache, take profits on a high valuation asset, and increase liquidity in a late cycle? The last thing that I would consider is some Dollar hedge if most of your assets are US based. I think I’m becoming a full blown gold bug at these levels. We’re late cycle, CB intervention will be ramped up again on the next recession, the US deficit is growing at a time that we should be reducing, the debt path is completely unsustainable, demographic shifts will be a huge headwind for decades. I think there are a lot of reasons you do not want all of your assets in dollars going forward. Thanks Larry. Let’s see where the dollar goes. The SF Bay Area real estate market sub $2M continues to be kinda nuts. But it’s always the retail investor towards the lower end of the market the gets left holding the bag unfortunately. Institutional investors have all cashed out. Just curious. You mentioned that you paid more taxes than Amazon? As I understand it, Amazon paid $400,000,000 in taxes for 2017 and employed pver 500,000 people. Yep! That’s 400 million (Fed, State, Local). I worked for them as a senior during Christmas Season (three months) at age 77 a few years ago (as a scanner). They are an excellent employer. The warehouse in Fernley, NV was seven football fields long. First two weeks was mainly trying to find my work locations. Tough physical work of 50 hour weeks but enjoyed it immensely. Had a great Filipino lady boss who was excellent. Met lots of immigrants on the job who put me to shame in terms of work efficiency. Obviously, Trump is out to get the Washington Post. I have no doubt that Amazon and Jeff Besos will get the last word. Yes, Amazon paid no corporate income taxes in 2017 due to lots of write-offs and other things. Got to love being big and rich! What are your thoughts on Philadelphia from a RE investing standpoint? I’ve always lumped it in with the rest of the major cities in the north east but its not technically a coastal city. Do the same rules apply? Relative to DC, NY, and Boston it looks affordable. I have a Philly real estate crowdfunding investment actually b/c I’m bullish on the Philly area. So cheap in comparison to DC and NYC! Interesting to see you write, “I would not be buying coastal city real estate,” given your long-standing boosterism for home-ownership. How long should a sub-middle class family throw away money on rent in the San Francisco area? Until you have at least 30% of the value of the house in cash (20% down, 10% buffer), and know you plan to live in the Bay Area for at least 10 years. If you have this, I think you will be fine. > We might be in a situation this year of what asset classes loses me the least. But it’s too early to tell. If you’re worried that stocks and bonds might go negative for the year… why not park a chunk in cash? T-bills are yielding 2%. You can sit for a few months and buy in at a better spot. Opportunity and uncertainty. I’ve got almost $300,000 in cash at the moment + monthly cash flow from passive income and our online business. How much cash do you recommend I accumulate? What are you doing with your money and what is your outlook for the asset classes above? Thanks for the advice and thoughts. > How much cash do you recommend I accumulate? If your target return is low enough, you don’t have to be 100% invested in stocks and bonds at all times. You can keep $300,000 in cash. It’s easy to invest in T-bills or a CD ladder. The 2% to 3% annual return is measly but it matches inflation. If there’s a recession, almost every asset will lose value in real terms, but cash will outperform stocks and bonds. > What are you doing with your money and what is your outlook for the asset classes above? I agree with your outlook for stocks and bonds. If earnings growth is strong, I really don’t anticipate the S&P 500 entering into bear market territory from here. Of course, a further 10% correction is possible. Thanks. Sounds like a guest post opportunity if you’d like to write one! It’s pretty easy. Hi Sam, great post. I really enjoyed the analysis here. I’m wondering, have you tracked your past performance? How did you do? If you already wrote a post about this, please let me know! My goal has been to always try to grow overall net worth by at least 10% a year. That way, I will double my net worth every 7.2 years. I care:) i value your advice. I also value the replies posted here. I think at my age I think I will look for about the same return percent as you. Definitely don’t want rental unit. To much stress. My home is my castle. Tomorrow is not promised, but planting seeds is always a good idea. I wouldn’t touch bitcoin or any of the cryptocurrencies with a ten foot pole. 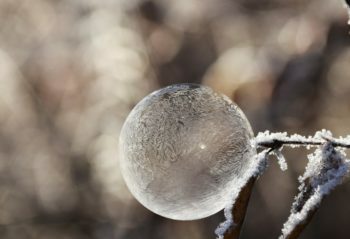 While blockchain technology may be here to stay, I don’t see a way to possibly come up with an intrinsic value, or an appropriate valuation range. I totally agree about the coastal valuations in real estate. It seems like most cap rates you’ll get are ~2% in those locations so you’re definitely buying for appreciation. But that ship left around 2010-2011. It’s all a cycle though, so we’ll just have to be patient. How do you balance between staying fully invested, with the increasing likelihood we are closer to the next downturn? Since crowdsourced RE is out of your control as an LP, how do you thinking about cycles and the inevitable “better deals” to be had following a correction. Also, locking in gains can be expensive from a tax perspective in stocks, where would you pull from if RE went on sale? Thnk you, always enjoy the articles. I stay fully invested and count on riding out any downturns. Staying invested is better than trying to guess the top and the bottom. Worst case, 2008-9, my portfolio only took a few years to get back up and since then returns were outstanding. Never never sell when the market is at the bottom. Exception, you can withdraw a small percentage if you can still recover. For example, $1,000,000 portfolio, down 30% ($700k) up 15% next 3 years ($1,064k), you could take some out every year and be okay. For example, withdraw $35K each year, and you’d have $1018k after 3 years. If the $35,000 is flexible i.e. for luxury spending, that is best so you can adjust based on actual events. Would I be happy with 3-5% return in 2018, no, but it would be okay as I made 18.6% in 2017. I would probably be tempted to spend it, but also tempted to build capital. Selling stocks to reinvest in something else is always a problem tax-wise especially if you have held them for a long time. I try to do it mostly in tax free or tax sheltered accounts. Another option is borrowing with house as collateral if you have build up a lot of equity. Then you could deduct the interest. I have done this, first borrowed to buy a rental condo, got tired of that, sold the condo, paid off the main mortgage, but reinvested the 30% down payment funds and profits into the stock market and made 25% pa for the next two years (paying 2.5% interest on the loan, which was tax deductible). The loan payments are covered by rental income so cash flow is not an issue. Of course I would not do this unless I had money I could afford to lose i.e. recover if I lost and I knew for sure I could make the loan payments. From my point of view, I decreased risk exposure by $815,000 by selling my SF rental house in 2017, and reinvested 100% of the proceeds in various investments. I think expensive coastal city real estate is at a lager stage in the cycle versus heartland real estate, which is why I ended up investing $500,000 of the $1,800,000 in proceeds in real estate crowdfunding, $700,000 in stocks, and $600,000 in CA muni bonds. As long as this site is up and my existing passive income investments still stand, I will always be generating more cash flow each month than I can spend. Refreshing to see a positive spin on bonds. I personally think it’s important to have them especially after yesterday’s sell off. Could you do an article on Realty Shares and how you evaluate to invest? I like the idea investing in no hassle real estate but just don’t know enough to pull the trigger. I am not a professional investor but here is how I look at things based on my experience. I am now only in real estate and stocks and do very well with low risk. I think bonds are okay if you do not need more than the coupon interest rate but you need massive capital (like Sam) to be satisfied with that return and not worry about capital losses as rates increase (hold to maturity). I would do same as Sam with that much capital. Bonds and stocks are not necessarily inversely correlated. Often everything goes down. Bonds are rate sensitive (like other income investments) so that is the main thing to worry about. But if you play it right, you can make money on bonds too as rates go down (not now). 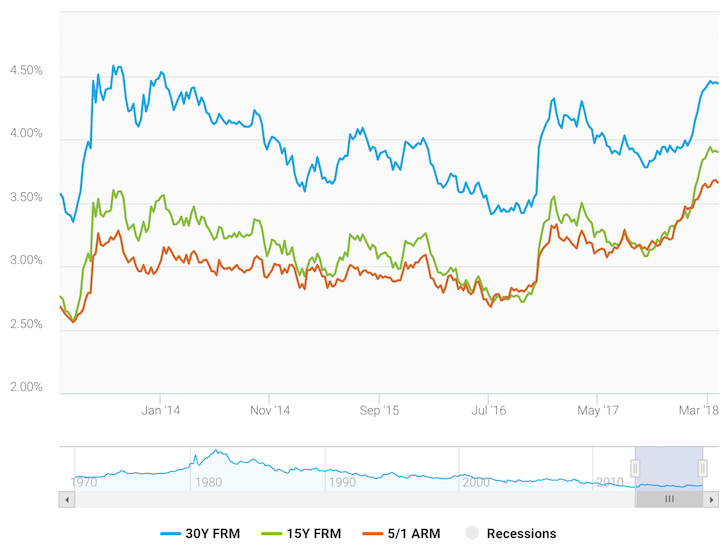 Buy when rates are high, high yield, any maturity, and then sell as rates decline. I did this early on as rates decined buying 6% corporate bonds and made about 10% on principal plus the interest payments, and then sold. Not huge but still a profit. In my case, I have small pension and rental income to balance the stock portfolio instead of bonds. I used to carry a cash hedge to soften any down turns, but don’t even do that anymore. As for the sell-offs in the market in the last few months, I stay in the market through ups and downs but adjust holdings according to what is working and the business cycle and interest rates, and have bounced back with the market. Since January 1st, I rode up to 11% gain and now am at 5.6% gain (and I was buying at the peak). To try to jump in and out of the stock market is not really a good idea. I think there is evidence that you make more money staying in the market all the time rather than trying to time it. Real estate is a great investment in the short and long run. Owning your home and paying the mortgage off in 25 years is great. Having rental suite in house is an big extra boost. I have no opinion on Realty Shares but often these “derivatives” including REITS, mutual funds and ETF’s have other factors affecting them that are very complex. Not for me. I learned the hard way investing in REITs. I really thought I understood REITs, but at that time did not realize that they are just another bond equivalent when rates move. I like to keep things simple — real estate and stocks. If I did not have a house, I would think about a dividend income portfolio. Since CD rates been under 1% since mid 2009 ( http://www.forecast-chart.com/year-cd-interest.html ), we have been buying individual NY Muni bonds since 2010 with a min YTW (Yield To Worst) of 3.5% net that is Federal and State tax free. We have a portfolio of 3.5% to 5% muni bonds that will generate 88K net tax free in 2018 which covers our yearly 65K expenses. We are quite happy with this “set it and forget it” investments to provide stress free passive income. We have NO money in the stock market and have been earning a min of 3.5% to 4% net since 2010. Also, I am glad to read that you will consider selling your remaining SF rental to reduce your stress level! Being stress free is PRICELESS! Good discussion. I enjoy reading the array of strategies on this site. I see stress from a different set of eyes. A stress-less environment tends to have far less potential. Risk vs. reward is build upon stress. It’s how the stress is channeled. P2P lending has a position in my portfolio. In my opinion, the key to success is having a good filtering system and to manually select notes only (not overly time consuming). This will consistently take the bite out of risk. FICO scores are high on my list. If an individual has a score of 740+ than he/she values this measurement and is highly unlikely to be impacted by swings in the market conditions. In addition, the grade of a note can be deceiving as some A1 -2 or AA-A loans have low FICO scores which impacts risk. I also add more $$$ to low risk opportunities and keep my somewhat risky loans to $25 p/note. Moreover, with LC I only review A1-C1 notes and AA, A & B with Prosper. The key here is the variance of dollar amounts per risk of each note not the company value of the note. My returns over that past 4.5 years have been 7.9+. I hold 40K with LC and 25K in Prosper. Real estate has a strong position in my portfolio as well. Moreover, I invest in Yieldstreet, ROI Funding (Orlando based) and Realty Shares. I also add rentals to my portfolio (cash flow and powerful tax advantages). As for cash, I apply online banking, CD’s (Schwab Acct) and a money market. In my brokerage account, I am currently on the sideline as I create a line between investing and gambling. Thus, I pulled out of the market in January once the Dow dropped 650 points. The next day it fell 1,280! Ouch! But, I was out! I will move back into the market once the Dow regains 65% of it’s early January position. I would love to see other investor’s portfolios as I am always looking for different philosophies and strategies to ponder. I agree with you, great to get Sam’s analysis and outlook and compare to mine and test mine in case he is right. This is where I am at after 45 years of investing. My attitude to stress is that stress fear and worry are good. If I don’t have stress in one area, I seem to add it in another. No longer worried about money, just making enough to travel and increase net worth. I have lots of back stops, so not worried. I don’t find the stock market too stressful, but it adds some mental challenges. Making decisions with a million factors you can’t know, being nimble enough, strategic enough, focussed enough, clairvoyant enough and only spend a few minutes a day, is a good amount of stress. Same with caring for house and tenants. The most stress I have (and love) is planning travel, getting good value, not being too cheap, accomplishing dreams, and optimizing the transportation junctions (flights, car rentals, transport on arrival in strange cities as a female alone), always thinking next time it will be easy. I stayed in the market through the last 3 months, rode up to 11%, down to 3.8%, and back up to 5.6%, so pretty happy I stayed in the market. Preparing mentally for a lot more volatility this year, but targetting 20% return. I will watch for sector rotations and invest in growth momentum. I can survive a much lower return but I like to have agressive targets, at least beat the stock market by a good margin. I don’t hold cash, but sold two positions just recently to fund travel. I had considerable captial gains on them but they were not down in the recent corrections. I will repurchase later in another account (when they start to break up again). Real estate is 65% of my net worth (one property), such are the market prices in my coastal city. I try to get equity out of the property (mortgage amortized for 30 years, rental income, deferring property taxes) in as many ways as possible as sitting on this much equity is a little frustrating when I could be travelling even more. Impatient. I don’t need any other real estate type investments. – I would be happy with 3-4% returns this year. Of course I’d like much higher, but I have capital to deploy. So I’m looking for buying opportunities as well. – On the stock / equity market: perhaps it depends on the sector and/or name of an individual security, but valuations still seem quite high and expensive. I’ve traditionally invested our entire net worth in broad-based funds and/or index funds, but I’ve recently dabbled into individual names due to the ability to go after what I believe are bargains or quality names at reasonable entry points. Income is my primary focus right now (even only at 33) after only saving for retirement in growth funds over the last 8-9 years since joining the workforce. This also now includes building out our taxable investments (which literally didn’t exist a few years ago). – On the bond / fixed income market: as you mentioned, bonds could be a key contender in the year of what asset class loses the least this year – but who knows? I’d been sitting on about ~15-20% bonds of a total net worth perspective (specifically, all future contributions in my 401k adding to that balance). But I just reallocated about 1/3 of the bond holdings into equities due to the slight dip over the last few weeks. I needed to rebalance anyways; however, the lowered equity evaluations presented an appealing time to buy. – On the real estate market: we continue to rent in Chicago (rents down ~15% from a year ago as your tables highlighted :) while building up a down payment for 20% of an eventual purchase. I am seeing a continued boom of construction downtown right where we live and also in the outer neighborhoods still within the city but closer to the suburbs. Where there are single family homes, it appears builders are turning them into 4 homes. This motivated me to continue expanding our investment with Fundrise and exposure in our traditional REIT holdings. Overall, I do want more attractive purchase prices on all asset classes, but it’s hard to want the market to drop significantly. However, I want even more to deploy new capital with as much momentum as possible as our income continues to rise. Mike – What is exactly going on with Chicago rents? Why are they one of the weakest in the country with the property market already relatively inexpensive for a big city? I think it’s a result of (1) still a strong demand of younger buyers / millennials looking to buy a place in the city and (2) builders continuing to put up new massive rental buildings (or the 1:4 units I referred to) in many areas of the city. Builders have less risk with rentals from what I’ve seen. Many buildinfs, including mine, we’re built as condos in the last 10 years but converted to rentals. To me, it seems there is an extra increasingly abundant supply of new rental units. From speaking with friends and colleagues who have been in Chicago the last 10 years (as I was in NYC for 8 years up until 3 years ago), nearly all the new builds are rentals. The homes available for purchase have tended to be far fewer and targeted toward the luxury end. 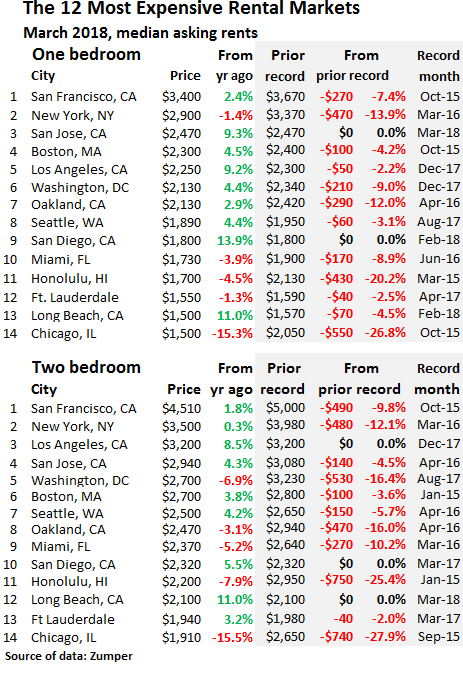 Chicago remains cheap compared to LA, NYC, and SF. It remains even cheaper on an international level. I still have plenty of friends and family (including sister and brother-in-law who just bought their first place) who want to own sooner than later. Most of the builds though are going toward rentals. It’ll be interesting to watch your realtyshares investments over time. I just cashed out of my final investments with them last year, and decided to not redeploy additional cash with them. I haven’t particularly liked the more recent offerings. For now that money is back in the broad market, with a touch funding some additional units of inventory in my Amazon FBA project. Finally, I’m glad I never invested in crypto. I’m sure the technology has a future, but trying to profit from speculation was something I would have jumped on in my former years. My investable cash amount is pennies compared to yours but I’m holding a large cash reserve and the rest of my free cash I’m still investing in broad US large cap and an international small business index fund at the moment. I just don’t see investing my small amounts on bonds at the moment. They just seem too ‘safe’ with small returns but maybe in a few months I’ll be kicking myself. Investing in real estate seems like a huge headache as you touched on with your rental. I have one rental property that is chugging along but with a full time job (plus a ridiculous commute) and two little ones it’s always something that’s in the back of my mind. I’m starting to research crowdfunding instead. I’ll be researching and possibly putting future cash into one of those opportunities (Rich Uncles, etc). Hmmm… sounds like you have your hands full! “A ridiculous commute” is one of my worst nightmares about working! I cannot even imagine being able to take care of two little ones and having to go to work with a long commute. Good on yah! Here’s a post I wrote called, Real Estate Crowdfunding Trends For 2018. 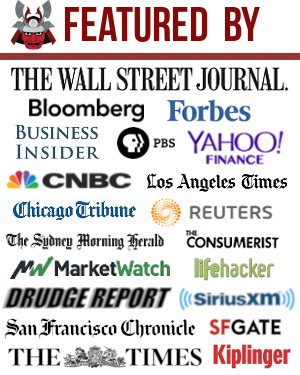 Here’s another article on investing in debt or equity for real estate crowdfunding. Crypto’s are down 50%!!! Who could have guessed that? I thought Bitcoin was going to hit 100K this year. I’m just kidding of course. The only think that seemed to propel that price was the mainstream media not any earnings or actual usefulness. No wonder why my Twitter feed is finally quiet about Crypto. All those that put all their eggs in that basket have lost their shirt. It’s actually amazing that there were / are so many who predicted Bitcoin is going to $100,000. Could still happen! But unlikely. In investing, everybody becomes super vocal when they are winning, and never say a word once they are losing. It’s full of good advice. Reading through your posts, I’m now considering investing a bit in CD and maybe a bit in crowd funding real estate. At least, I’ll gather more information on these now. Personally, I would be okay with 3-4 % returns, but happy with 7-8% returns this year. Risk Control Is Paramount -> this is the most important factor to hold on. Especially when we have bad days. For me having a diversified portfolio of ETF (a simple 60/40% strategy) would be a great way of dealing with a possible bear market. Rebalance once or twice a year and keep it simple. That will make you sell when an asset is overvalued, and buy when is undervalued. Great post, always interested in how you’re investing. In 2018, I’d be happy to remain flat. 125% of our net worth is invested in real estate in a high cost west coast city [Vancouver], with a Government that wants to cool the market. Thankfully, most of that is in our single family home that we will live in long-term, and the two rentals are, in average, purchased at well below today’s market rates. Sam, with Honolulu prices falling off, have you considered buying in the shorter-term and renting out until you decide to return to Hawaii? As an ultimate semi-retirement location, my wife and I are considering it and I’m going to start running some numbers. Interested in your thoughts. Don’t understand 125% of net worth. How do you calculate? I am in Vancouver too, detached house, two internal units rented to excellent tenants, and I live in the main house. I sold a rental condo a few years ago with small profit, just too much trouble and a long horizon for appreciation at the time, and no cash flow, with cheaper better newer bigger apartments for sale nearby. Glad to be rid of it. I have enough real estate to worry about. Hawaii is wonderful, but I am island phobic. My location a few blocks from the ocean is my ideal home base for world travel in retirement (which I have been enjoying for a number of years now). The gross market value of my real estate assets exceeds my net worth. The net market value, after deducting mortgages, is a different story. It raises the issue of leverage in real estate and how much it can affect your net worth, positively and negatively. The challenge is if it declines in value materially, the impact is out sized on my net worth, because the debt won’t resize proportionately. I share all my net worth numbers on my website, you can see how I’ve calculated my real estate holdings at 125% of my net worth there. Okay, got it. Thanks. My ratio of gross assets to NW is about the same. A little leverage makes a big difference in propelling NW. How do you handle value of pension assets? Financial Samurai calculates annual (pension payments/10 year bond rate) x probability of payment, e.e ($50,000/.025)x100%. I also calculate PV of payments over estimated longevity including annual increase in payments. I calculate NW with and without the pension value (since it does not form part of estate value). What I include in NW is based on whether the number will influence financial and lifestyle decisions and the pension definitely influences decisions by providing certain income. We don’t have significant assets in a pension and only include vested amounts in my wife’s pension. I’ve never thought of what I’d do for our net worth if material. No, I have no plans to buy Honolulu rental property to rent out at this time. The market is getting flood due to new construction in downtown and I think the market will continue to soften. We’re targeting a single family home near the beach. I’ve seen prices languish for 3 years now, and I think there will continue to be plenty of opportunity if and when we move in 2-4 years. I strongly believe in the opposite: Buy Utility, Rent Luxury! Hope the Canadian market holds up! Toronto seems a little dicey now with the latest numbers. We are years away from FI, so no rush. Perhaps best to wait for a softening and scout out areas we like via VRBO. Yes, our market is getting me nervous, the BC Government is targetting a cooling off. It’s cooling in listings and sales volume but not prices. Very little for sale in the benchmark single family category in Vancouver, which leads to higher prices. I would be buying now. Owners are waiting, so watch for people so desperate to sell, they will sell into this market. Real estate and stock markets have totally transformed my retirement lifestyle. Passing through midwest US now on my way to Europe and Africa. Meanwhile rents are rising and vacancy rates lower than ever, so if you run into worst case scenario, you can always rent out the property. I don’t raise rents on my wonderful tenants but could easily get 50% + more rent. With two salaries, low interest rates, good credit, no debt, equity, rental income from a suite, go for it. I am getting nervous with the amount of our net worth invested in expensive west coast real estate [Vancouver] @ 125% of our net worth. However, the majority is in our single family home that we plan to live in long-term and the rental properties were purchased at well below today’s market, on average. With prices coming down in Honolulu, have you considered buying a home in an area that you like in the shorter term and renting it out until you decide to relocate? My wife and I would be interested to live in Hawaii at least five – six months of the year when semi-retired and I’ve thought it may make sense to purchase sooner and rent out until we move. As you said in a prior post, I’m not sure if it will be +/- in the next year, but reasonably confident it will be up in ten to twenty years. @finance stoic, definitely take into consideration the income taxes and the GET Tax. Quite high in Hawaii. But very low property tax so there’s that trade off. However great place to live! @financial samurai I think this is spot on. I was eying a place at One Ala Moana that looked like it could break even off a solid downpayment but it seems things are topping out and a ton of inventory is coming online in Kakaako. I’m more focused on emerging market real estate where cap rates are quite good along with appreciation potential. I can buy 2 cashflowing units mortgage free for the down payment in Honolulu. I will be looking at Honolulu during the next downturn. The biggest problem with Honolulu is that there isnt much of a solid economic base, you have nearly LA level prices, perhaps higher with much lower average earning power. I cant justify investing only for appreciation. For now its best to continue investing in current business and digital as the asset is less correlated with the stock market and can be improved and scaled much quicker than real estate. Based on what you and Financial Samurai say below, it appears the consensus is to wait and see. You both seem to expect a softening and we are six years away from FI, so no rush. I think that 3-4% this year would be just fine. There are going to be years where we average less (or even negative) and others where the gains are 8-10%. It will all (hopefully) come out in the wash. It has been sad watching our stock market be so dramatically affected by political powers that be. Rumors of trade wars have badly impacted things for many of us. Hopefully, this will get under control at some point. Being a non-coastal living person, I have also been impressed with what the real-estate market is doing, though I am not actively involved as an investor yet. Maybe once my student loans are paid off, I can consider it.